David Bowie is always hard to pin down. If you are looking for one definitive musical statement as to who he was, whichever one you pick you will be wrong. There is always a conceptual paradox that you will have to accept or a style somehow not reflected in a particular era. But for Bowie the man at least, there is one particular moment where it all came down and came together; an era when one could see Bowie at last playing himself. Before he’d always been a man playing a god and once “Let’s Dance” turned him into a megastar, it was a man who had transcended to be a god playing a man. 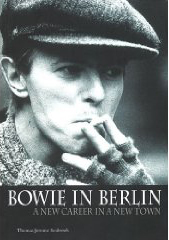 But the era of Bowie in Berlin is naked Bowie, is a raw man exposed and looking for somewhere to hide. 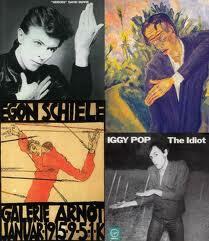 The so-called Berlin Trilogy of albums, “Low”, “”Heroes”” and “Lodger”, actually a quintet with Iggy Pop’s “The idiot” and “Lust for life” recorded at the same time and place, represent the creative fulcrum of his career. The three combine pop, poetry and theatre, the critical elements of what had come before and what would come after, but added to them the contradictory elements of experimentalism and the quotidian. Quotidian for Bowie and his entourage that is. After all, the Berlin Trilogy is not only about Bowie, but about a triumvirate of characters, all looking for the same thing at the same time and finding different outcomes. Bowie had come from California and years of cocaine abuse that had left him on the brink and often delusional, including several mythical television appearances. With him came Iggy Pop, inspiration himself for the Ziggy Stardust character that had led Bowie to the brink. Ironically, Pop had been rescued by Ziggy, both physically from drug addiction and financially, hauled from jail to the studio to get it back together. Brian Eno, meanwhile, had shed the feathers of his stay in Roxy Music (leaving after their second album) and wound down a solo career to find a new direction with these two misfits. Producer Tony Visconti is a noble fourth, but overall his character has less influence to play here and especially afterwards. All three eloped to Germany in 1976 to collaborate and invent a new musical future for each of them. Destination German had been chosen for its fervent musical scene (Bowie and Eno, particularly had already been heavily influenced by Kraftwerk, but would soon extend their local music interests). But also with it came the anonymity they sought, away from their former characters and the shackles of fame, to be themselves. Divided Berlin at the time was an ideal place to lose and find yourself and was a society that understood split personalities and paranoia. But Berlin was also France and the Château d'Hérouville near Paris where most of Iggy Pop’s “The Idiot” was recorded as well as the first side of “Low”. Finishing was done at Hansa Studios in Berlin where the next albums were recorded, though Bowie’s bookend to the era, 1979s “Lodger” was finished in New York and its hazy mixing has the cocaine edge that suggests that coming down hadn’t quite gone to plan. “Low” was the second album of the 5 to be recorded, but the first to be released, first seeing the light of day in 1977 where it was critically praised but did not seem to make much immediate impression. “The Idiot” was ready to go, but apparently Bowie’s ego meant that his album was to go first so that it would not seem as if he was drawing influence from Iggy. Hailed as the greatest album of the 70s by Pitchfork, “Low” presents the true low of Bowie’s life: cocaine paranoia, drinking, break up of marriage with Angie and artistic burnout after a decade of high living and creative overload. The first side, recorded in the Chateau is Bowie scraping together his life in little bios and half-finished song. Thomas Jerome Seabrook in his excellent book on this topic makes the valid points of fade outs: everything on this album fades out, shrinks away, worn out or induced to hide again. This is most pronounced on the second side where Bowie’s only lyrics are meaningless words called out from the abyss of “Warszawa”, the opening track of side two and the usual opening track for Bowie’s subsequent tours. Bowie had effectively been rendered speechless from his life and was also fading away. “Warszawa” was also the first key intervention of Eno, who performed most of the music alone, to which additional parts were added. 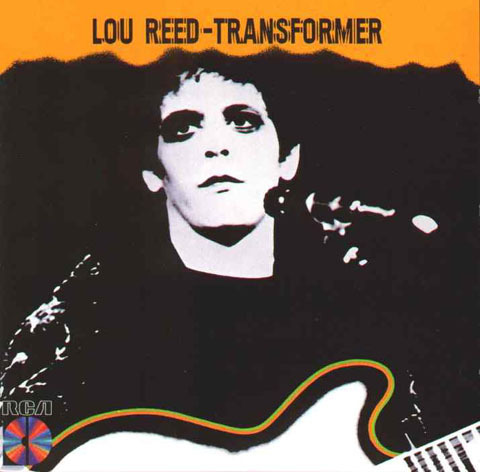 His and Bowie’s fascination for the “very unfocal” forms of the kosmische/krautrock music they were immersing in were essential for fashioning the atypical song structures that would dominate this track and all the albums, especially the ambient tracks which were a shocking inclusion for an album in 1977, Punk’s year zero. This was also the song that gave the early incarnation of Joy Division their name: Warsaw. But if the ambient side to “Low” and subsequently “”Heroes”” were to illuminate Bowie’s limitations, the lyrics on the first side of each album are full of clues to his vulnerability. For example, the single “Sound and vision” gives Bowie’s state of mind and creative method in intimate and simple detail. Iggy Pop – The Idiot. According to legend, the lyrics to Iggy Pop’s “The Idiot” where largely improvised in Berlin, made up in the spur of the moment with the tracks largely written by Bowie, were already completed in France. As with Bowie’s output, the lyrics are largely biographic, detailing the duos attempts to quit years of drug addiction by drinking, particularly noticeable in the seedy, psychedelic stagger of “Nightclubbing”. Alternatively, “The Dum Dum Boys” is a literal biography of his former group The Stooges written at the behest of Bowie. The title of the album was often said to refer to both Bowie and Pop and their social failure at the time, as well as referencing the novel of the same name by Fyodor Dostoyevsky. Critically, while the album is hailed as a classic, many also complain that it is not really an Iggy Pop album as it seems too far removed from the dirge rock of the Stooges. “The Idiot” has also gone down in rock infamy as being the last album listened to by Ian Curtis on the night he killed himself. Pop and Bowie subsequently went on tour together to promote the album, with Bowie playing keyboards and trying to keep a low profile and maintain the life style as straight as possible. But inevitably a certain friction began to develop, particularly in the eyes of the critics who viewed Pop as something of a pawn in Bowie’s game, much as Lou Reed had been seen around the time that Bowie and Mick Ronson had recorded “Transformer” with him, an era when Reed had far less influence and fame than he has now come to be associated with. ““Heroes”” needs no introduction as it is perhaps Bowie’s most recognisable song. The parenthesis was apparently for irony, though this somewhat undermines the beautiful elliptical lyrics and the wrenching waves of guitar from Robert Fripp providing the signature sound, with the three takes recorded in one day and mixed together on the fly by Eno. This song forms the centre of the trilogy, being its high water mark while also being emblematic of time and place. The lyrics probably refer to Bowie’s declining relationship with his wife, but also recount the story of producer Visconti and his lover, a backing vocalist, meeting for a tryst beneath the Berlin wall which could be seen from the studio window. The track was also used to great effect in the controversial film “Christiane F”, with a group of disaffected and doomed teenagers running through the empty corridors of a shopping mall in front of the Zoobahnhof station, situated below the forever wounded church that is a reminder of the war. The film uses the bilingual English-German version called “”Helden”” whereas a French version “”Héros”” was also made. Legend also has it that the name was in part inspired by Neu! and their track “Hero” from their final (official) album “Neu! 75” played here in a rare live version. The instrumental track “Seed of doubt” from the second side also showcases part of Bowie and Eno’s methods of composition at the time, which often relied on Eno’s “Oblique strategies” method. The Oblique Strategies are a series of cards with cryptic phrases on them and used much like tarot or John Cage’s I-ching compositional method to overcome creative blocks and obstacles or to forge new, unexpected directions. In this track, both Bowie and Eno had drawn contradictory cards, putting them in compositional opposition to each other with interesting results. Meanwhile the track “Blackout” says it all in the title, referring to a dark episode in Bowie’s life where he may have even suffered is first heart problems. The cover of “”Heroes”” also seems to contain some kind of code. Beautifully showcasing Bowie’s mismatched eyes, the oblique hand gesture and robotic poise seem to hide or suggest something else. Indeed, the cover of “The Idiot” sports a similar poise and both were apparently influenced by Erich Heckel's painting “Roquairol”, though some have also claimed a lot of influence from Egon Schiele as well. After the chagrin of appearing as Bowie’s “stooge” on “The Idiot”, Pop took a more active role in the writing and production of “Lust for Life”. The music is more optimistic and the lyrics more self-confident, particularly on the title track which given the circumstances is a remarkable transformation, but somewhat contradictory given Iggy's behaviour at the time. The first tour to promote “The Idiot” had been somewhat more restrained, but with Punk now in full swing and widely hailing Iggy and the Stooges as their ancestors, it was not long before Pop was back into old, dirty habits and riding the wave of success to oblivion. This video of “The Passenger”, the second iconic track from “Lust for life” shows Pop clearly wired and stoking the vibe. The release of “Lust for Life” effectively spelled the end of Pop and Bowie’s close relationship as suggested by this famous video from the Australian tv show Countdown, filmed here in 1979, with an erratic Iggy showing with body language at least, that he was uncomfortable with living in Bowie's shadow. Bowie did however, return to cover “China Girl” and “Tonight” on his respective “Let’s Dance” and “Tonight” albums in the 80s,the later with Tina Turner, paving and payign the way for another Iggy Pop return. Lodger is perhaps Bowie’s first failure to really find new ground since his breakthrough a decade before. This is perhaps not surprising after such a long creatively rich period and the gradual breakdown of artistic relations with both Pop and Eno. Indeed, Eno apparently was charged with directing many of the sessions for Lodger in Bowie’s absence, using only his Oblique Strategy cards which somewhat offended Bowie’s team of musicians. “DJ” is proto-Talking Heads from the lyrical phrasing to the edgy, post-punk rhythm. 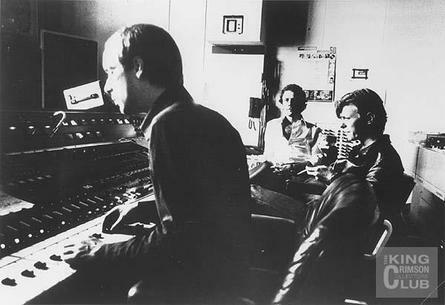 It is no surprise that Eno went on to work with them after the “”Heroes”” sessions, appearing first on their 1978 album “More Songs About Buildings and Food” but with more rewarding results on 1979s “Fear of music” and 1980s “Remain in light”. The lyrics also touch on one of Bowie’s major themes emerging from this time, which is fame, mixed with his usual preoccupation with existentialism. Parts of the video were filmed in central London with a real Bowie surprising real people in the street for an unrehearsed walk. “Look back in anger” is indeed one of Bowie’s angriest moments and had a video directed to recall Oscar Wilde’s “Dorian Grey”, perhaps again signifying Bowie’s clash with fame and existence/identity as he aged. Station to Station of course also clverely refers to Bowie's 1975 album of that bname and neatly fits into the groups railway themed lyrics.